If you are shipping cartons directly to your customers, you know the importance of choosing proper packaging to ensure the safety of your products throughout the fulfillment process. 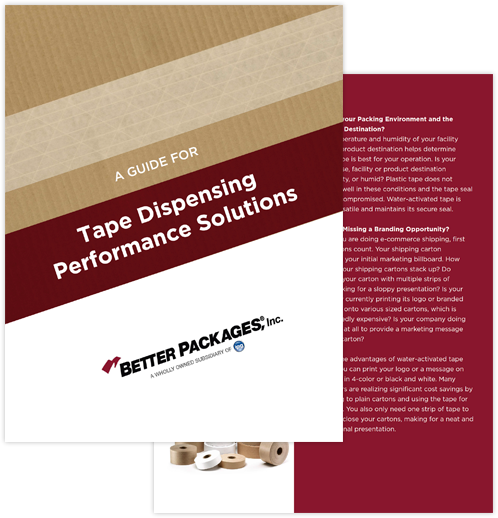 This eBook discusses what to look for when selecting packing tape, the different types of carton sealing tape, and the many benefits of water-activated tape. COPYRIGHT © BETTER PACKAGES | ANSONIA, CT (203) 926-3700. ALL RIGHTS RESERVED.